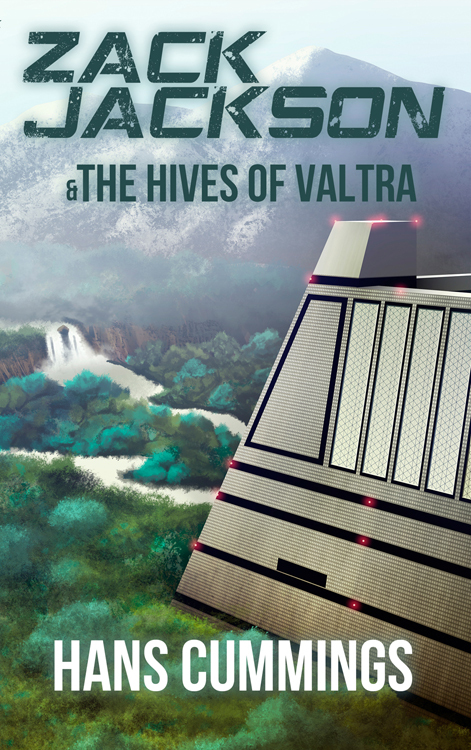 Zack Jackson & The Hives of Valtra now available for all e-readers! Zack Jackson & The Hives of Valtra is now available in three additional stores: Smashwords, Kobo, and DriveThruFiction. This means if you don’t have a Kindle, you can get the third Zack Jackson novel for your e-reader now, too! It also means that it should have moved through the distribution network and be available for order in most bookstores. If you’ve been waiting for Zack to be available on platforms other than Kindle, your ship has come in! Zack Jackson & The Hives of Valtra now available in Print and for Kindle! The third book in the Zack Jackson series, Zack Jackson & The Hives of Valtra is now available on Amazon! You can purchase it for your Kindle for $3.99. The print version is $13.99, and if you buy the print version from CreateSpace or Amazon, you receive the Kindle version free. The Zack Jackson series follows a 43rd-century student as he joins the Junior Rangers (think Boy/Girl Scouts in space), learns about Earth’s place in the greater galactic community, and explores the diversity and dangers of the universe. This volume follows him as he goes on a trip to one of his friend’s home world, the jungle world, Valtra. Even as his friends’ lives seem to fall apart around him, Zack learns not everything is as it seems, even on founding worlds of the Galactic Confederation. Helpless though he feels to help his friends with there personal problems, that doesn’t stop him from poking around ancient ruins and discovering an old adversary’s interest in Valtra. Last week, I stopped by Holy Name Catholic School in Beech Grove, Indiana to speak to two 7th grade classes about writing. I was invited by the teacher after she read my Zack Jackson novels. I’ve never thought of myself as a teacher, or indeed, as one anyone would want to take writing advice from, so the invitation was surreal. I wracked my brain thinking of what I could tell them other than the standard advice to read a lot and write a lot. In addition to that type of advice, I decided to talk about generating ideas. So, I explained how brainstorming worked, talked a bit about free writing, and other ways to generate ideas. I then led the class in a short exercise. I read to them a passage out of Roald Dahl’s Charlie and the Chocolate Factory; the description of the chocolate room. In the first class, we brainstormed together a new room for the factory (the Peppermint Room), talking about the entrance, the machines, the exits, the dangers, etc. In the second class, each row of students worked together to come up with a room, then wrote a short description based on their brainstorming. They came up with the Skittles Room, the Laffy Taffy Room, and two Cotton Candy Rooms. It was very interesting how two groups came up with different takes on the same room, and some of those kids were pretty damn sadistic when it came to deciding the fate of the child who misbehaved in the room. That’ll teach ’em to steal cotton candy from Willy Wonka! As one might expect in a middle school classroom, some students were more interested in what I had to say than others. There were a few in each class who really seemed to get into it; those are the future writers with whom I was trying to connect. Hopefully, some of the students gained something from it. I have finished the first draft of book three in the Zack Jackson series, Zack Jackson & The Hives of Valtra. Unfortunately, due to holiday madness, editing won’t start until after the holidays. Once I get a second draft, I’ll be looking for Beta Readers. There are a few heavy issues the characters have to deal with, and I want to make sure I deal with them in a serious, respectful fashion. I want to do it right. While it lingers waiting for my editor’s time to free up, I am going to try to get a good start on the next World of Calliome novel. Scars of the Sundering petered out this year. I knew what I wanted to write, I knew where I wanted the story to go, but I just didn’t believe in certain characters’ motivations. As the year dragged on, I started to suspect the problem was the number of human characters in the story. I think part of the strength of my World of Calliome novels is the non-human characters (not to mention a certain lampshading of traditional fantasy novels with human protagonists). Wish me luck as I go back to the well, and start this next story back in Drak-Anor*. *Having said that, any book that I might write will NOT be part of The Foundation of Drak-Anor series. It may follow the events of those novels, but will not be a direct sequel, per se. One will not need to have read Wings of Twilight or Iron First of the Oroqs to enjoy future novels in the World of Calliome. Zack Jackson & The Cytherean Academy launches! 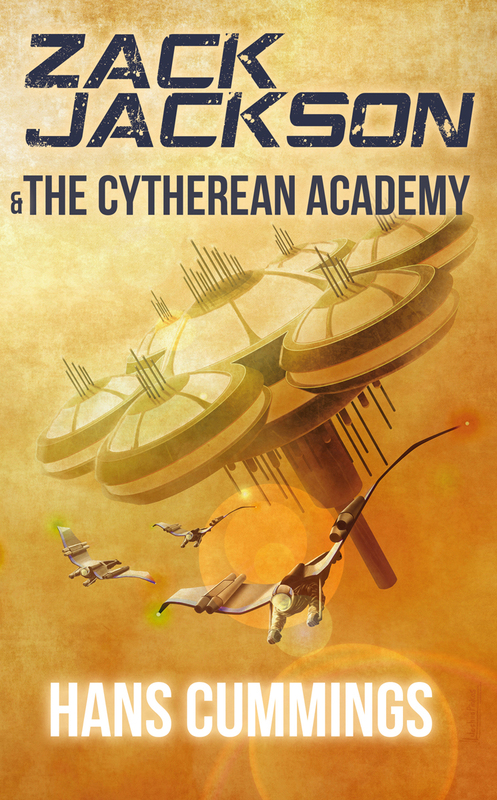 Zack Jackson & The Cytherean Academy is now available for sale in the Kindle store! Boot up your AI companions and get into your environmental suits! The adventure continues as Zack Jackson goes to Venus to attend the prestigious Cytherean Academy. He’ll find being marooned on Bestic was a piece of cake compared to starting a new school. The print edition has been uploaded and is going through the system. There will be another announcement when it is available. 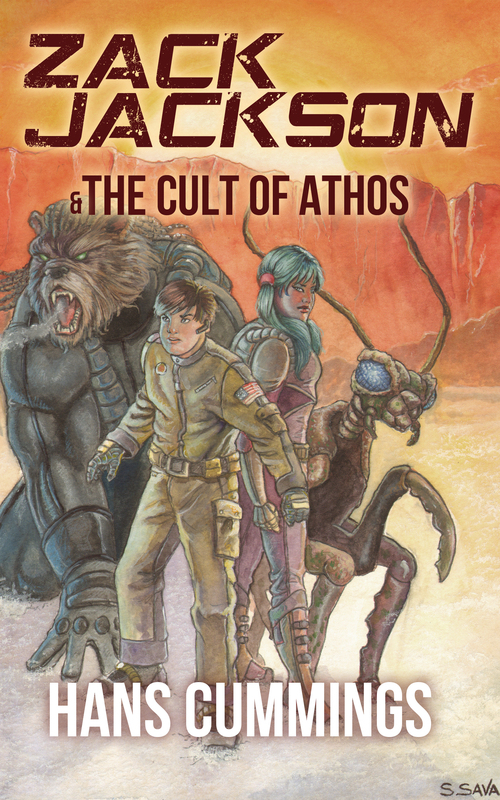 In addition, Zack Jackson & The Cult of Athos has been updated with a new cover design. It’ll take a few days for the changes to filter through Amazon’s system, so here’s a peek at the cover so you can see it now! I have finally finished the first draft of book 2 in the Zack Jackson series: Zack Jackson & The Cytherean Academy. Now it’s off to my wife for first-round proofing, alpha reading, and a preliminary edit. I hope to be able to send it off to a paid editor by the end of March. The Zack Jackson series is a Middle-Grade/Young Adult sci-fi series (science-based fiction) taking place in the 43rd century. It follows book 1, Zack Jackson & The Cult of Athos.